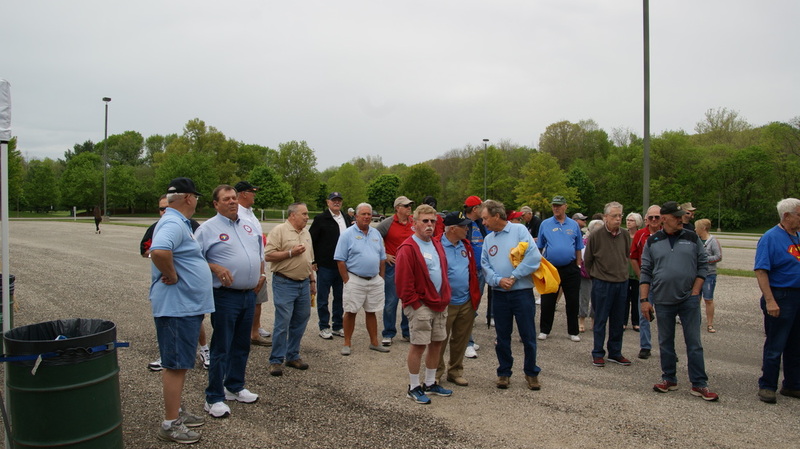 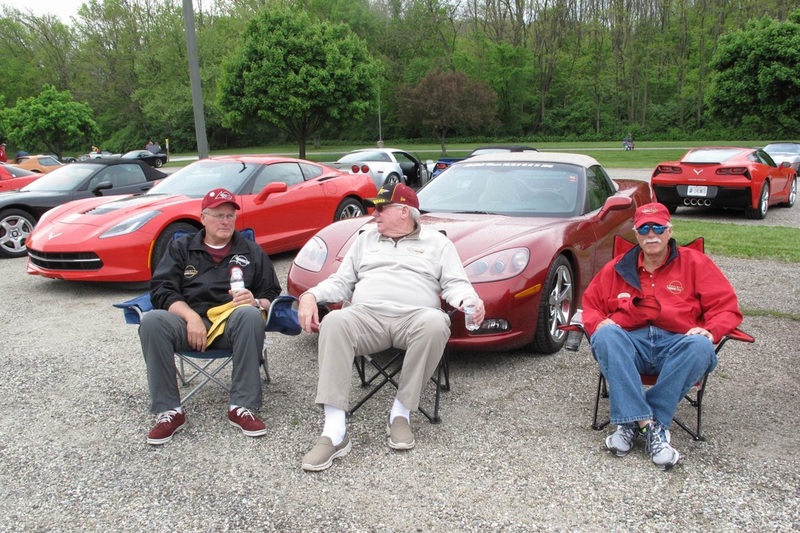 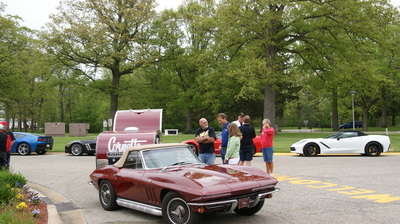 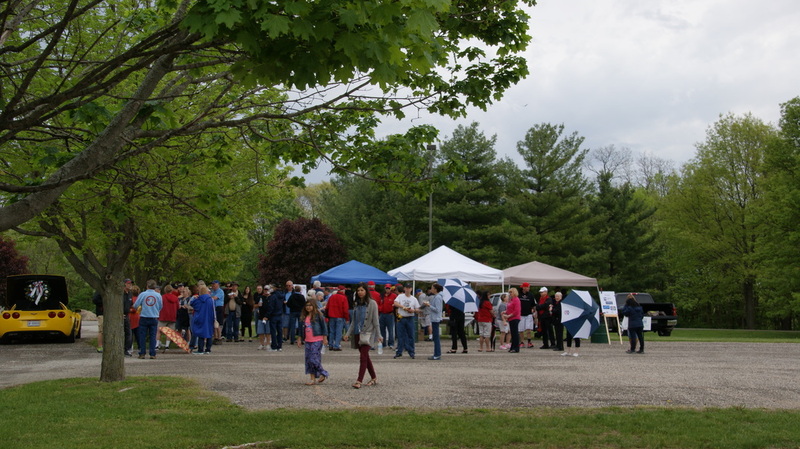 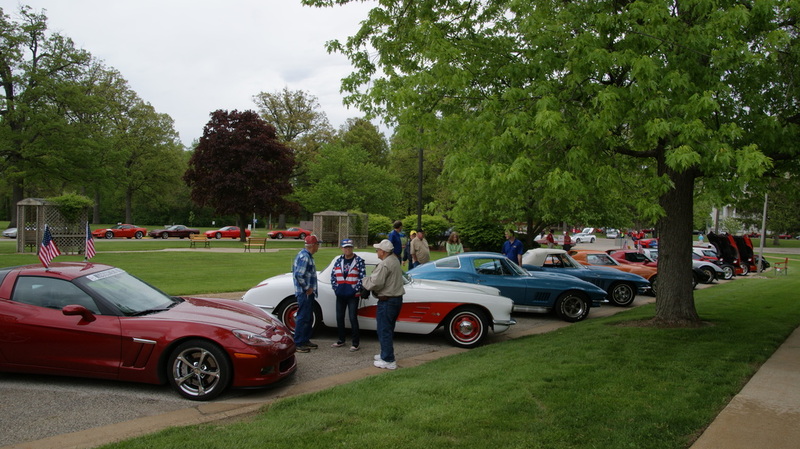 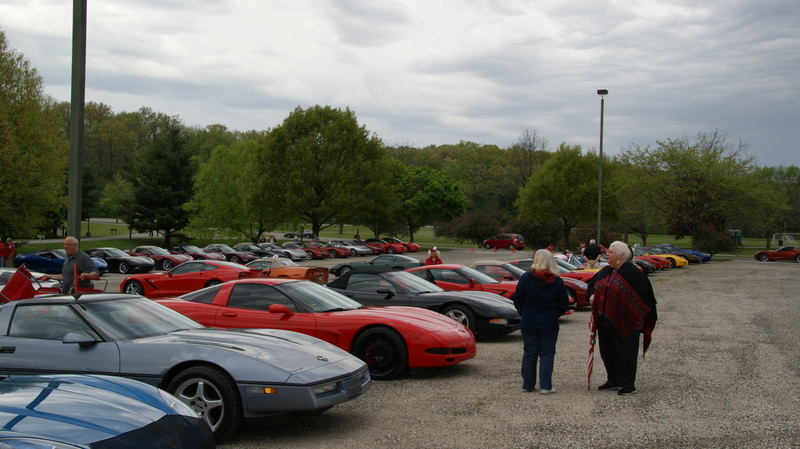 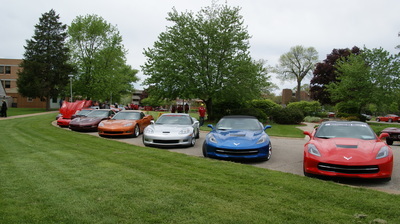 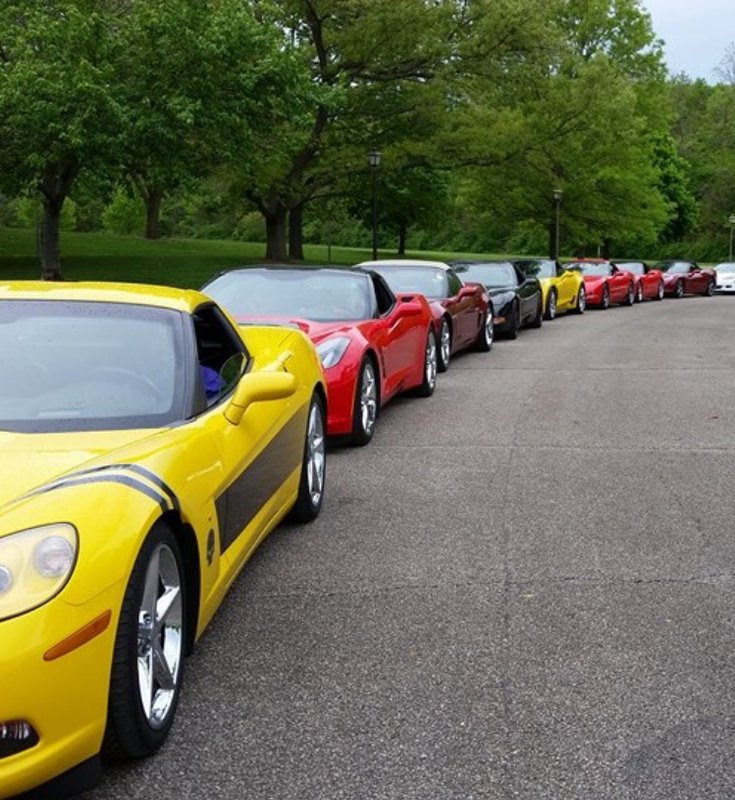 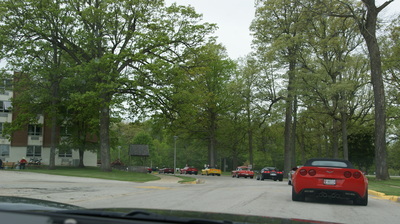 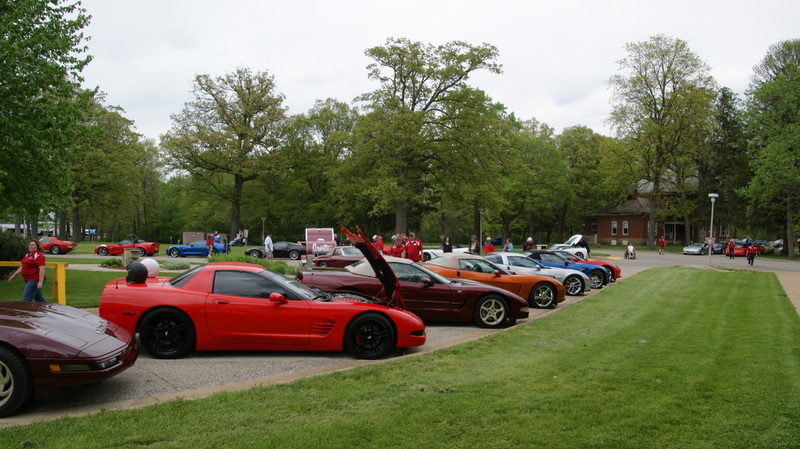 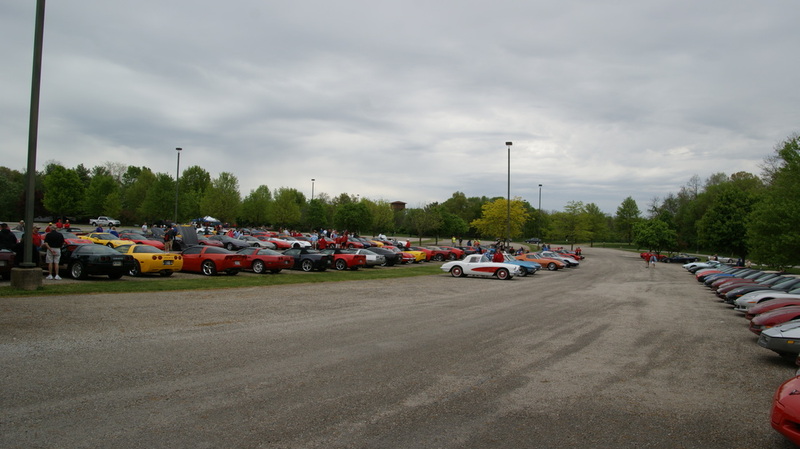 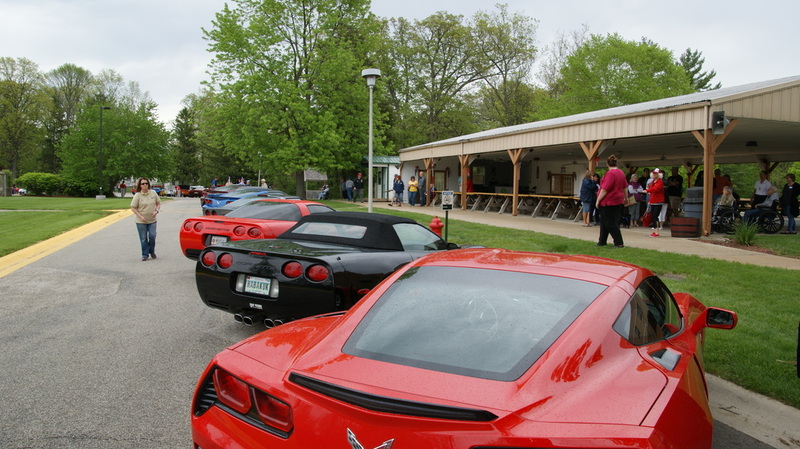 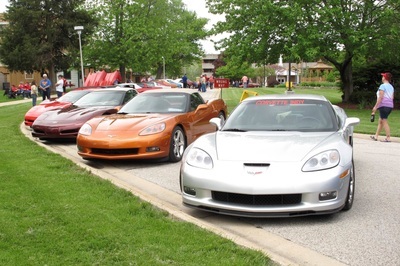 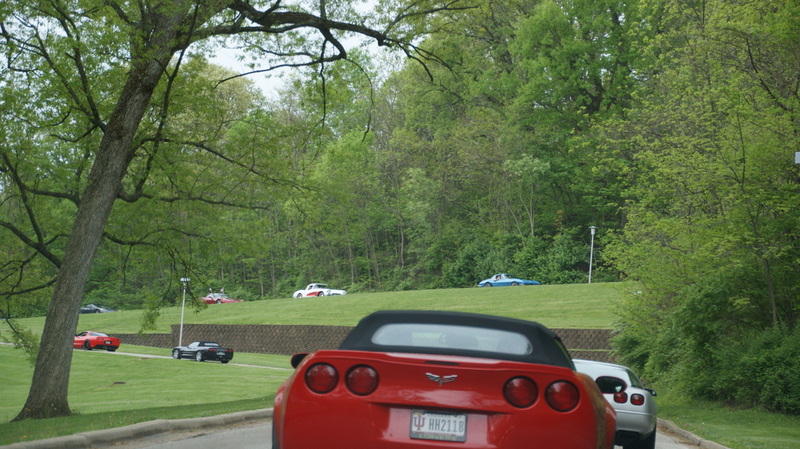 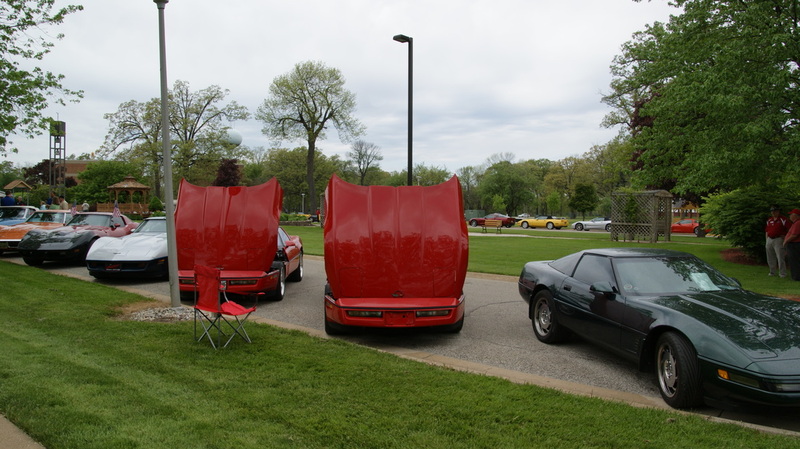 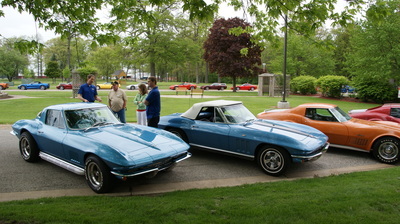 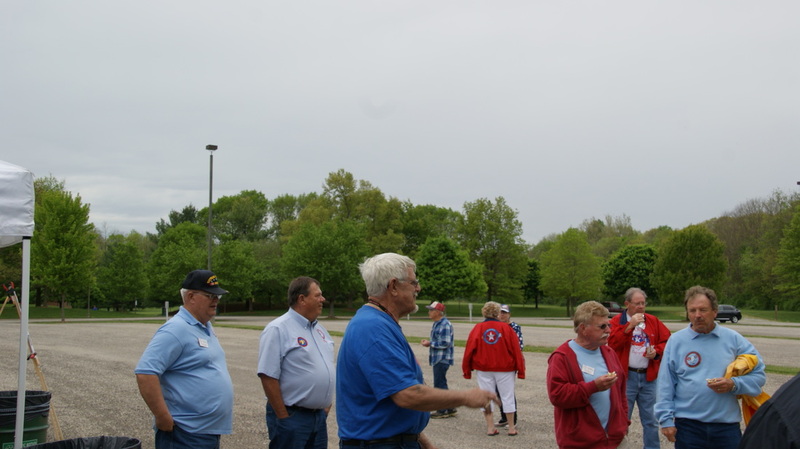 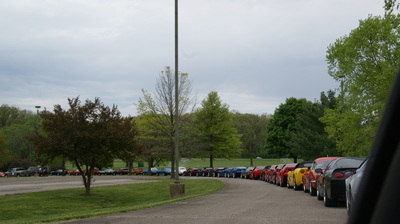 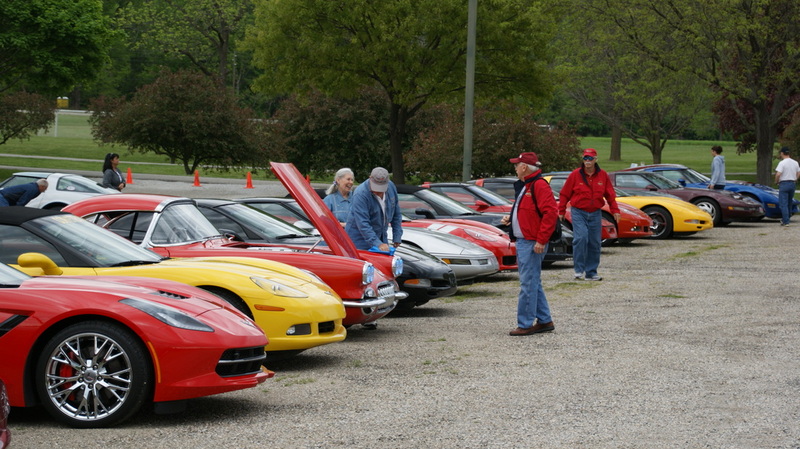 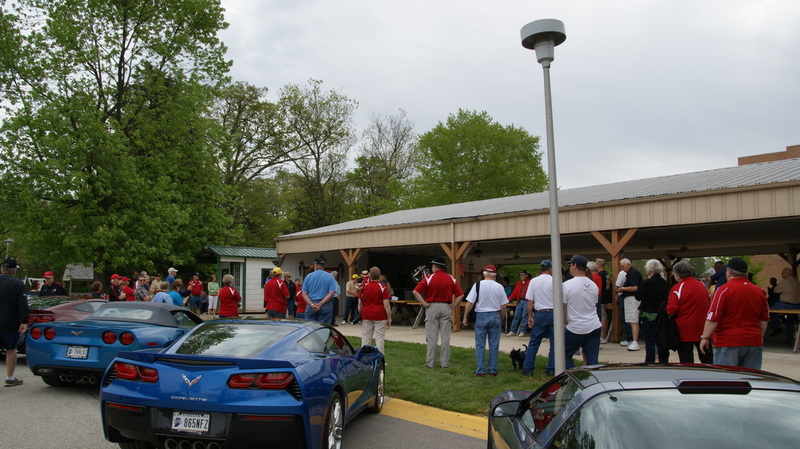 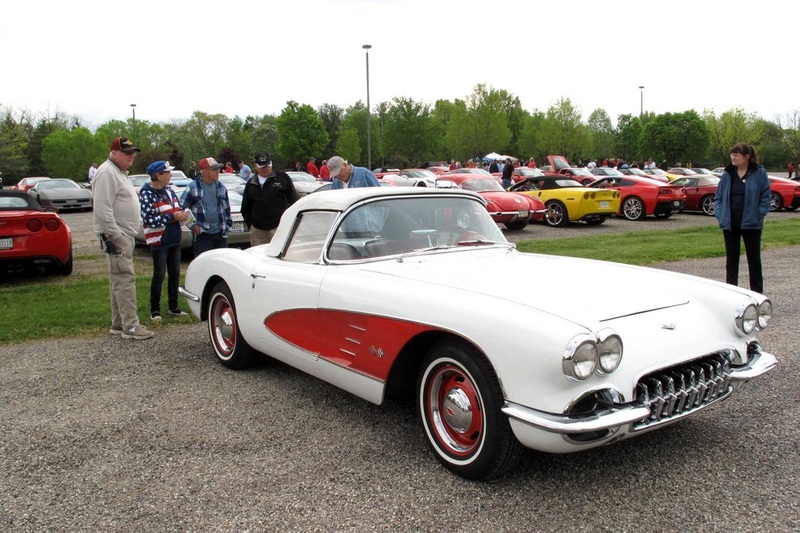 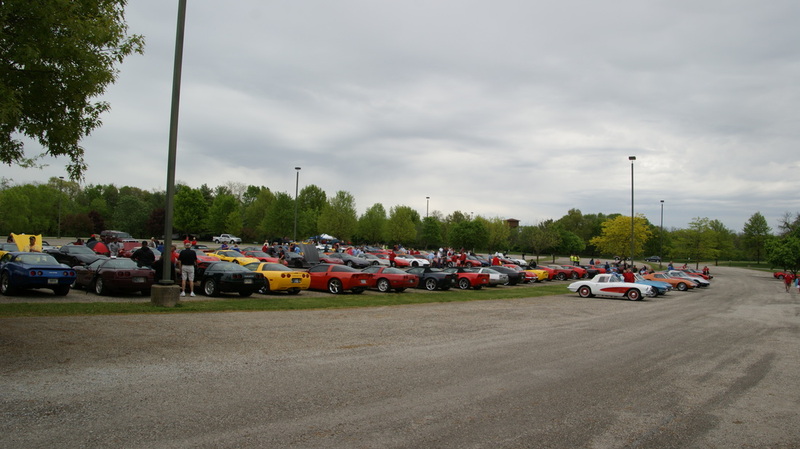 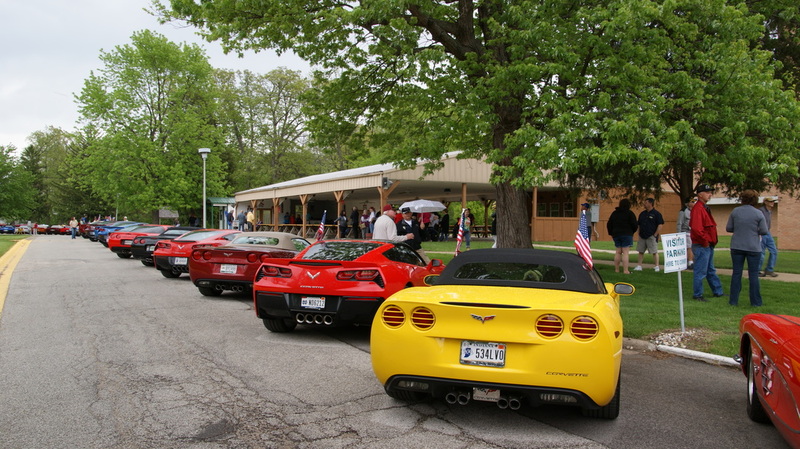 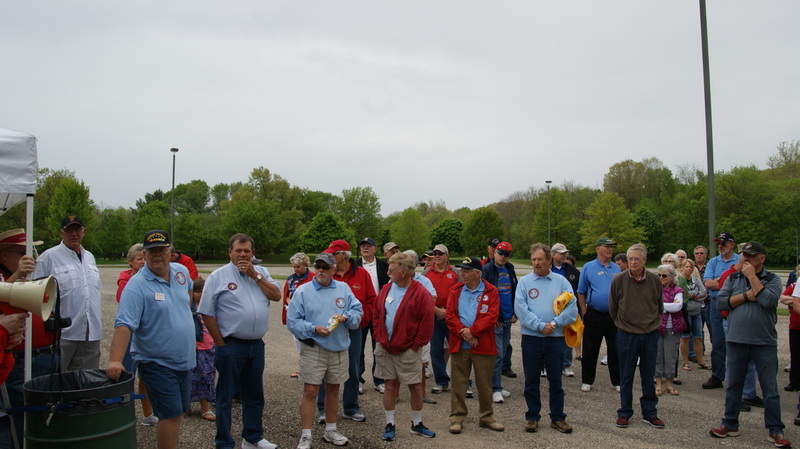 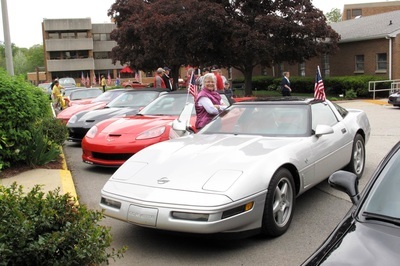 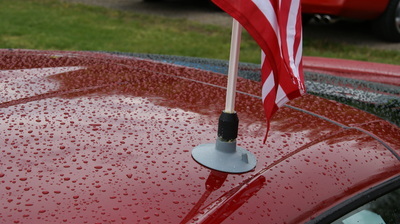 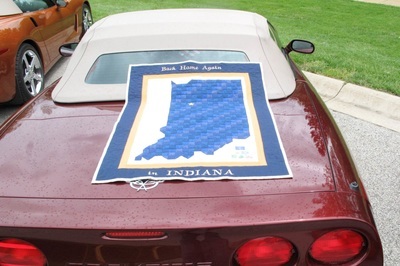 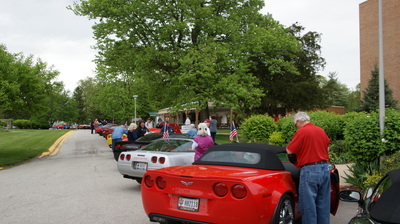 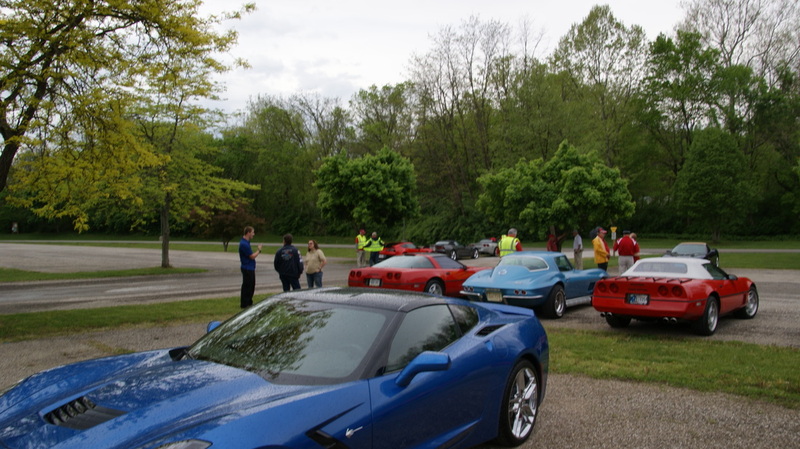 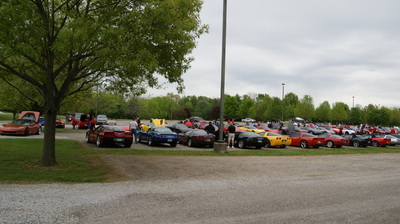 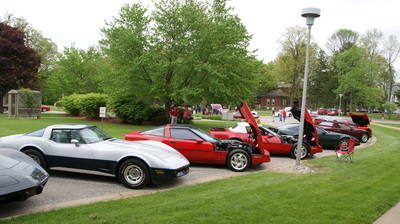 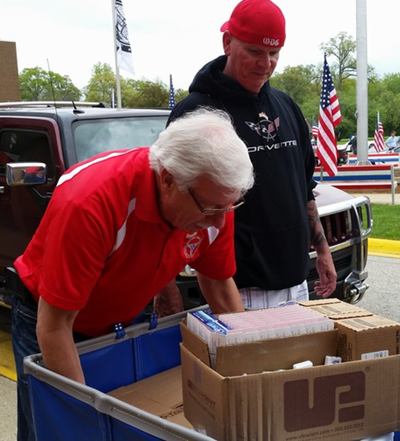 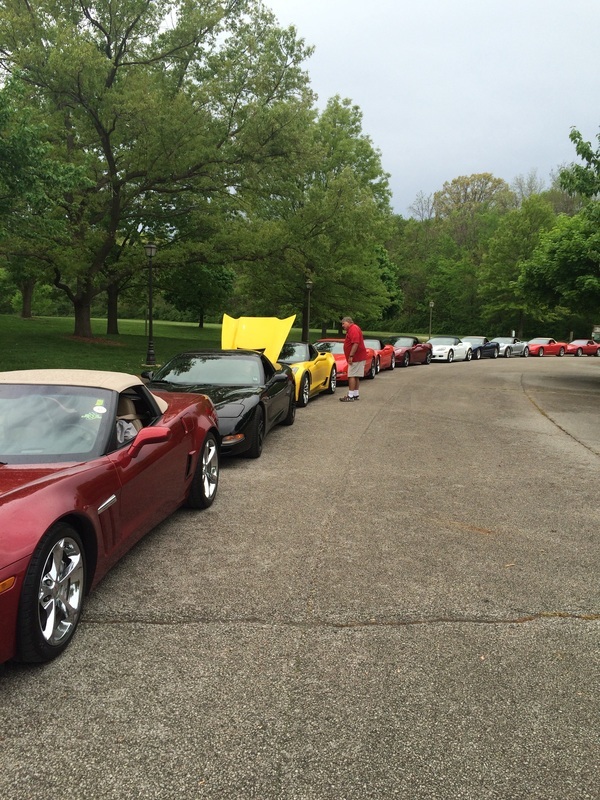 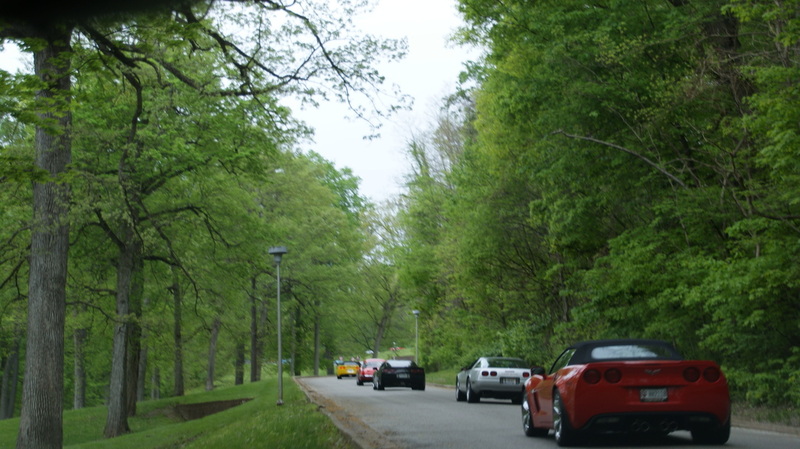 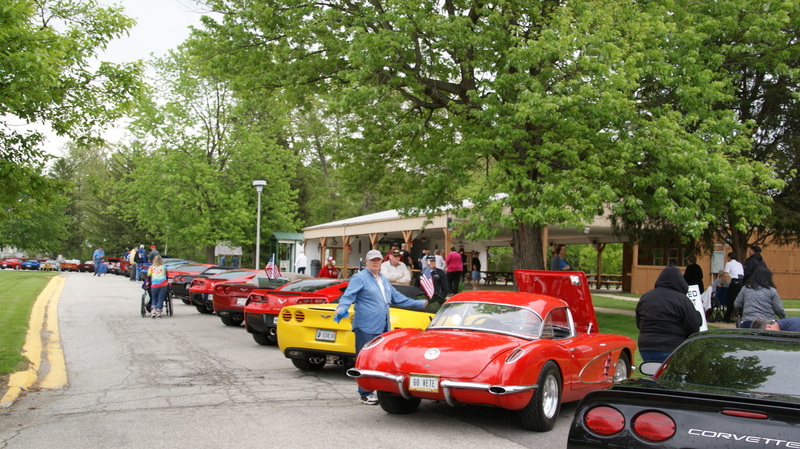 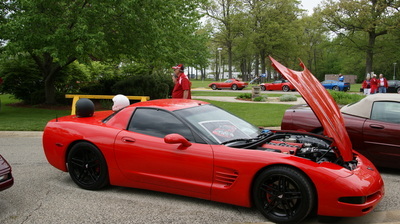 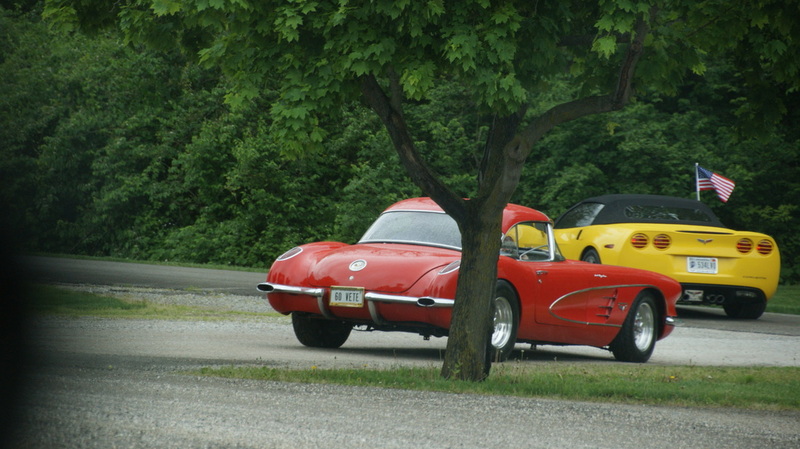 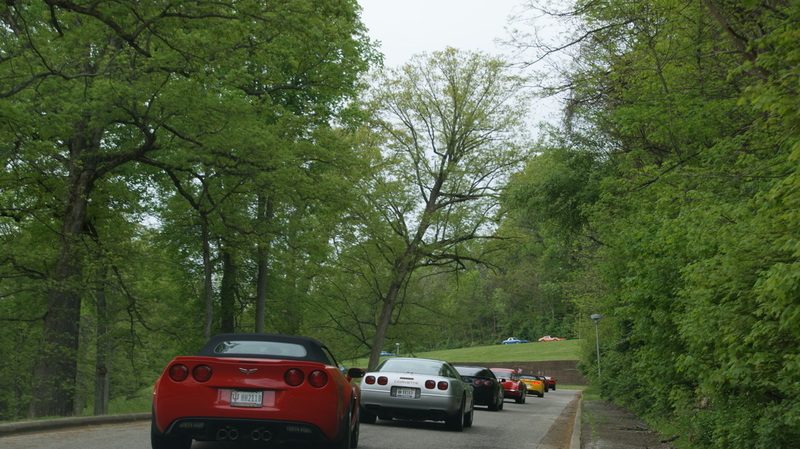 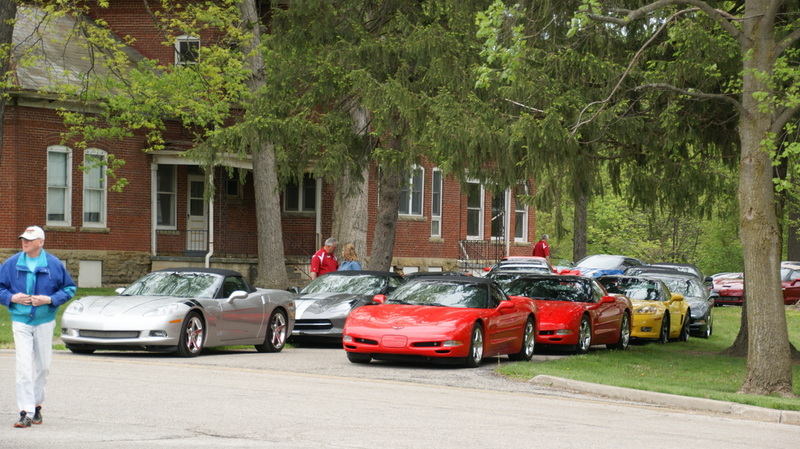 This year's annual event, despite the damp weather, had a great count of 117 Corvettes that staged at the Tippecanoe County Amphitheater Park before heading up to the Indiana Veterans Home. 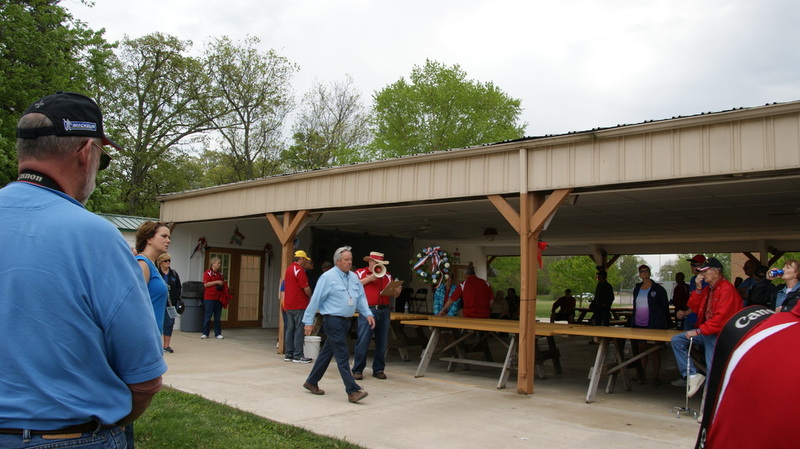 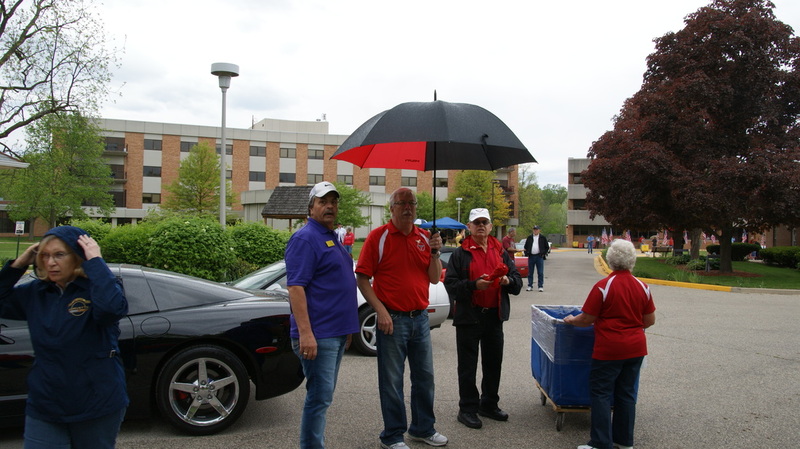 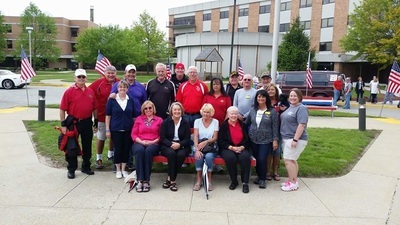 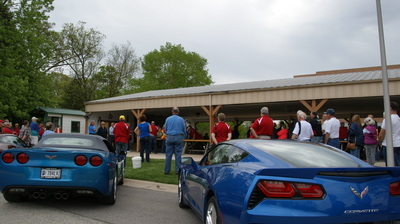 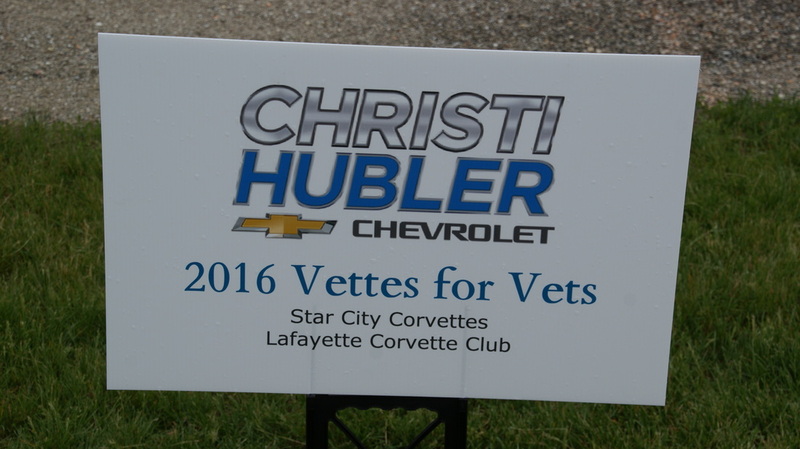 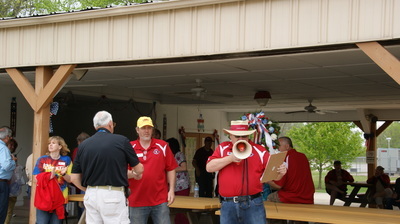 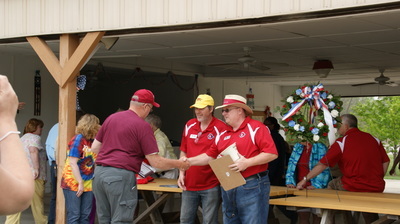 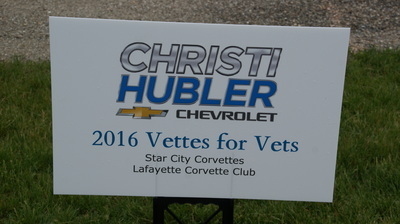 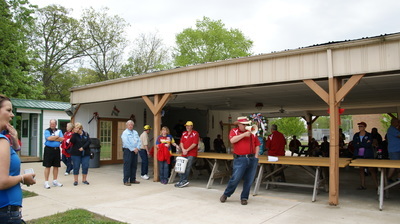 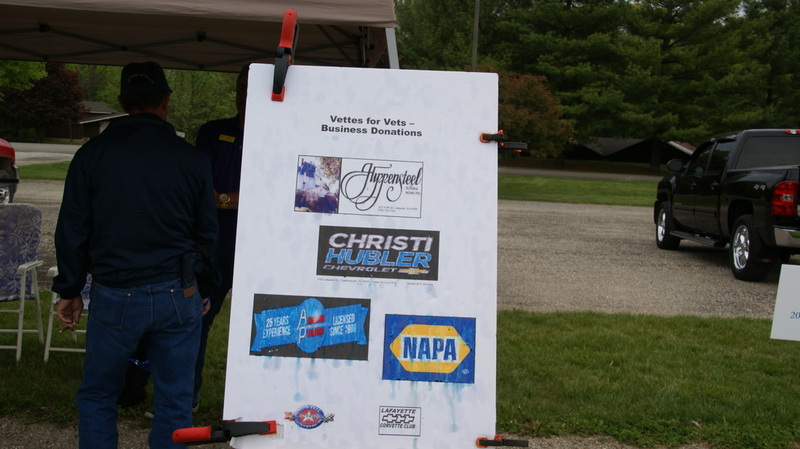 As in the past couple of years the two sponsoring clubs, Star City Corvette Club and Lafayette Corvette Club, had their grills out and cooked hot dogs along with having chips and drinks for the participants. 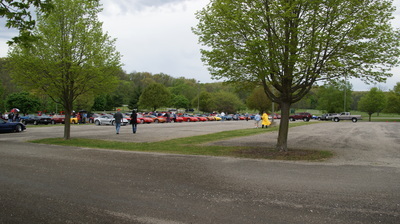 This was especially appreciated with the weather and hour later starting time. 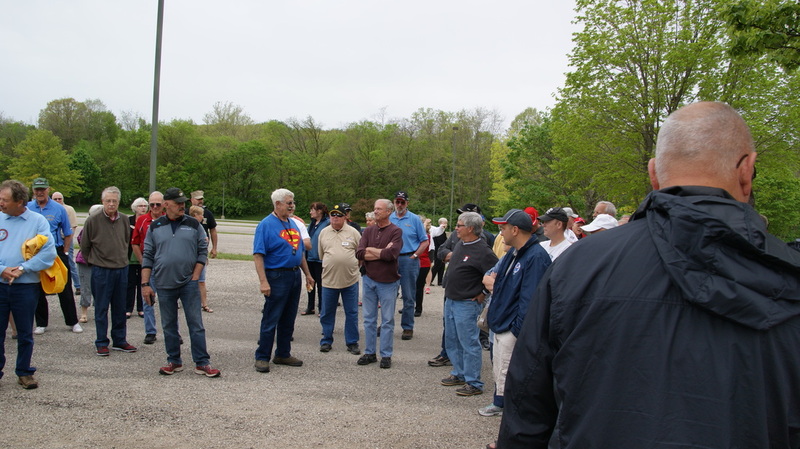 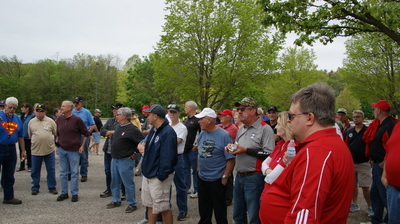 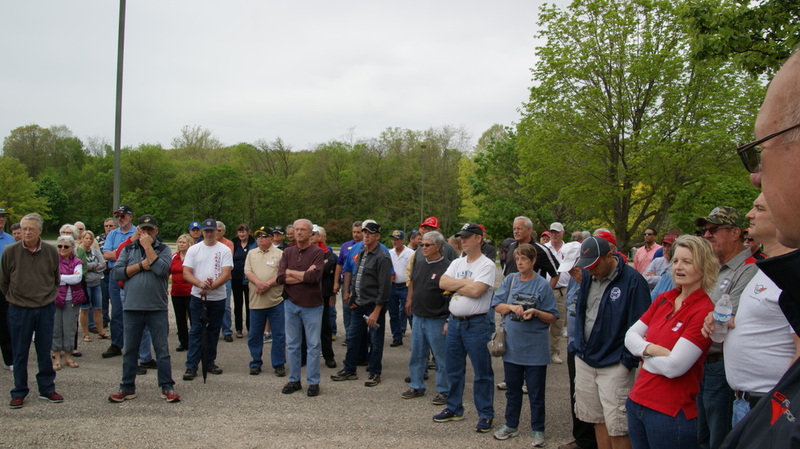 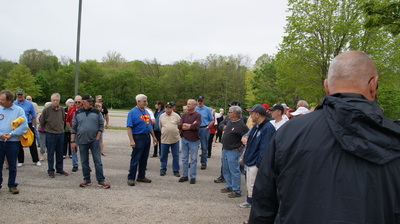 Once the drivers meeting was over the group lined up and then headed out to the drive up the hill. There was also a great change in the route as the whole group circled the full facility before parking on the circle drive in front. 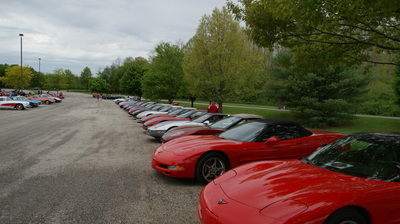 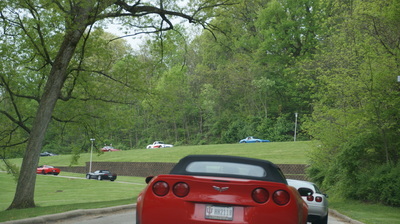 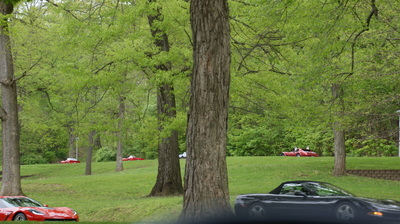 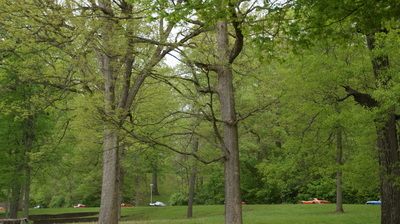 With the two hosting clubs parking their Corvettes off to the side there just enough room for the rest of the group. 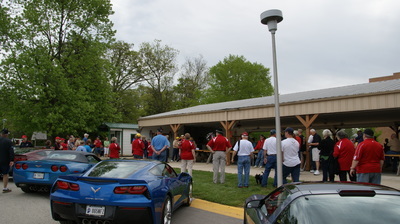 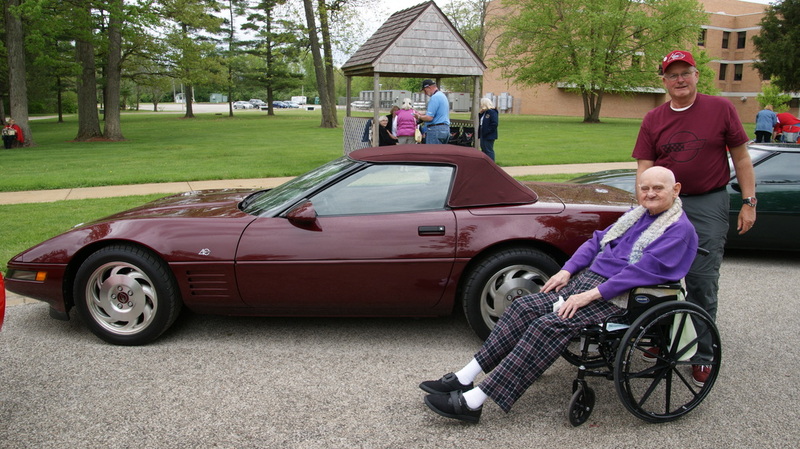 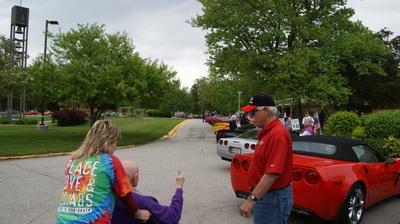 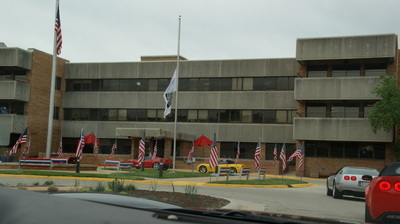 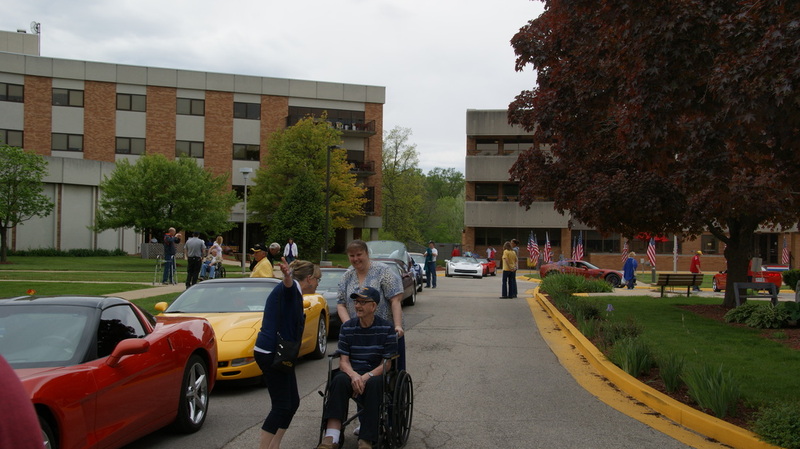 Many of the veterans were able to be wheeled or walked around to see the rainbow of colorful Corvettes and talk to the owners. 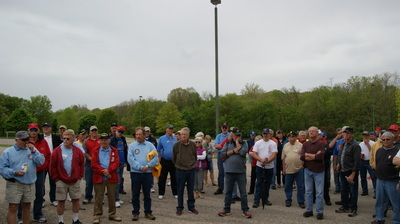 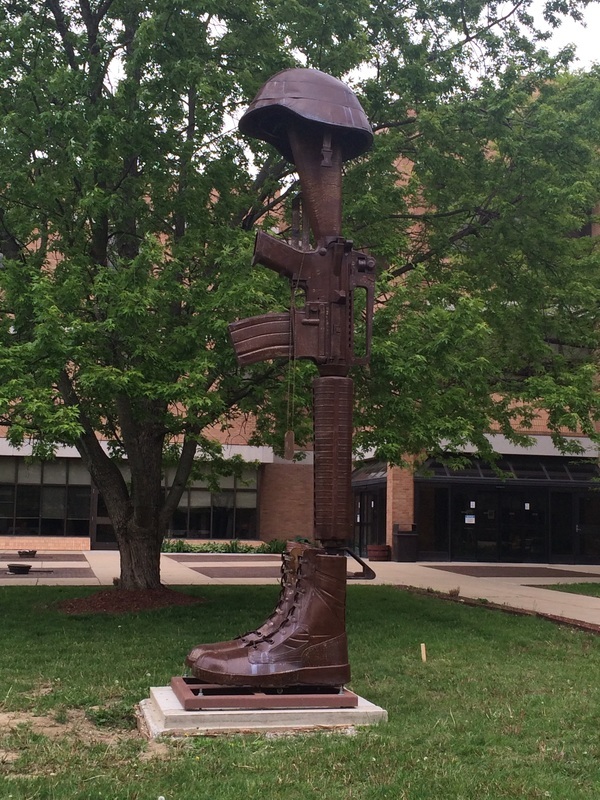 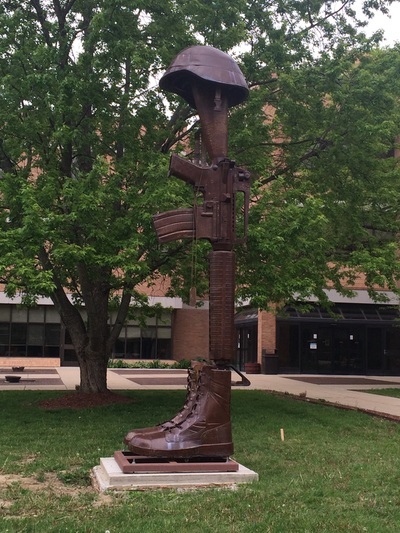 At the end of the event the two clubs presented a wreath to memorialize the fallen veterans of past years. 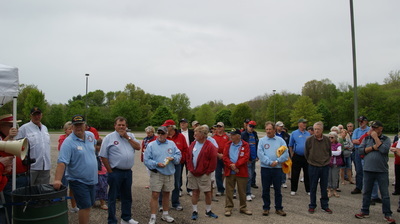 They also presented plaques to participating clubs for farthest travelled with Michiana Corvette Club at 150 miles followed by Fort Wayne and Elkhart Vette Set at 140 miles. 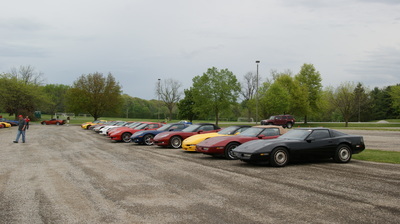 Corvette Indy won the participation award with 19 Corvettes in attendance. 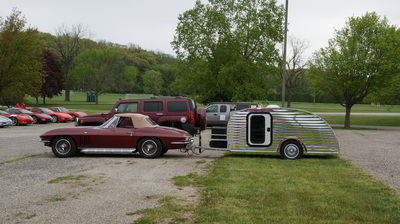 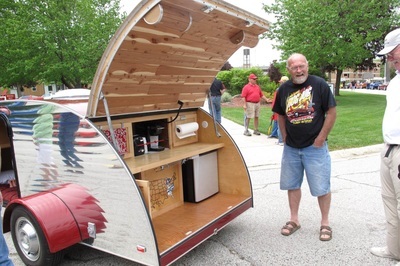 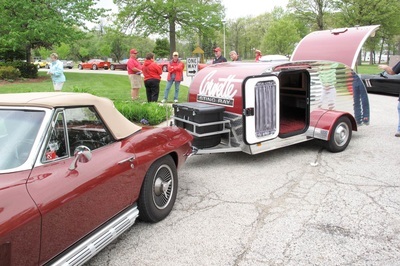 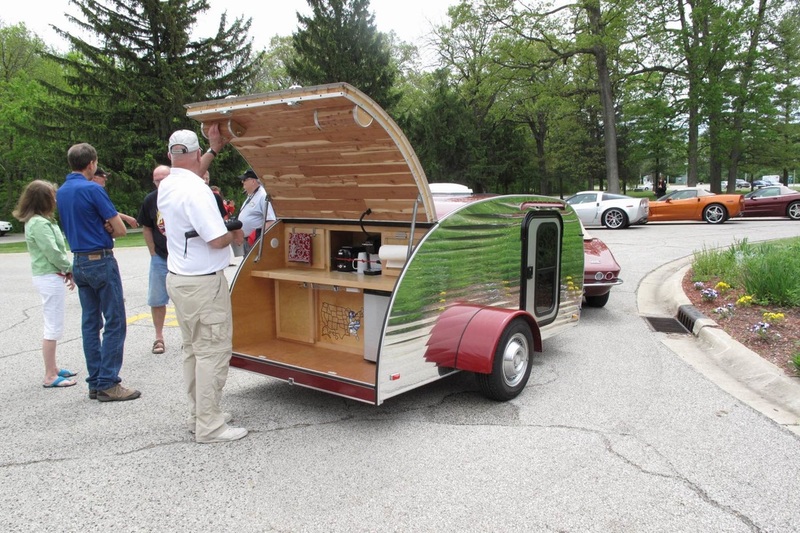 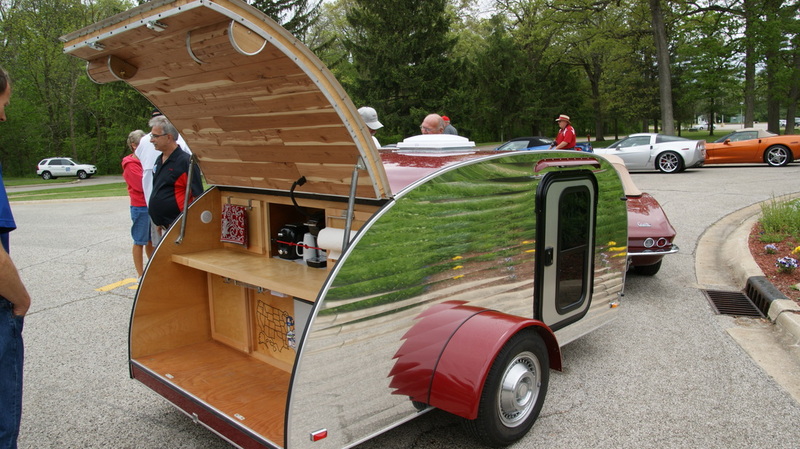 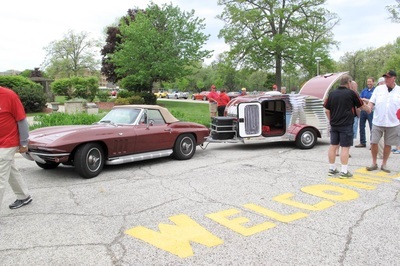 Elkhart Vette Set was acknowledged for not only bringing their usual van full of items this year they also had another vehicle with items too. 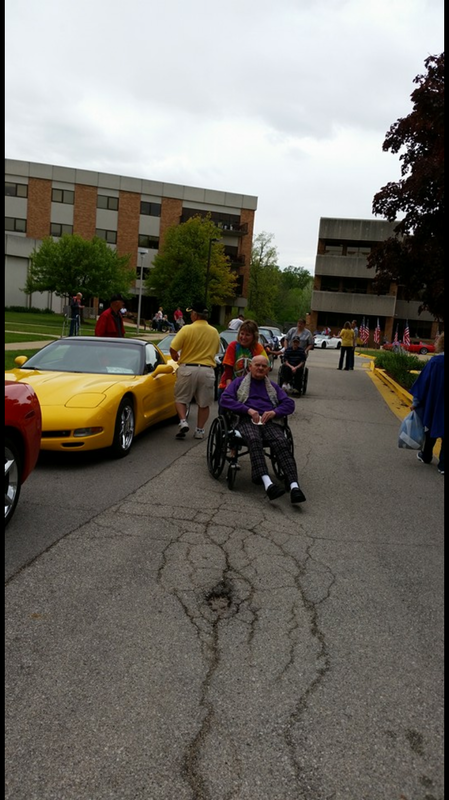 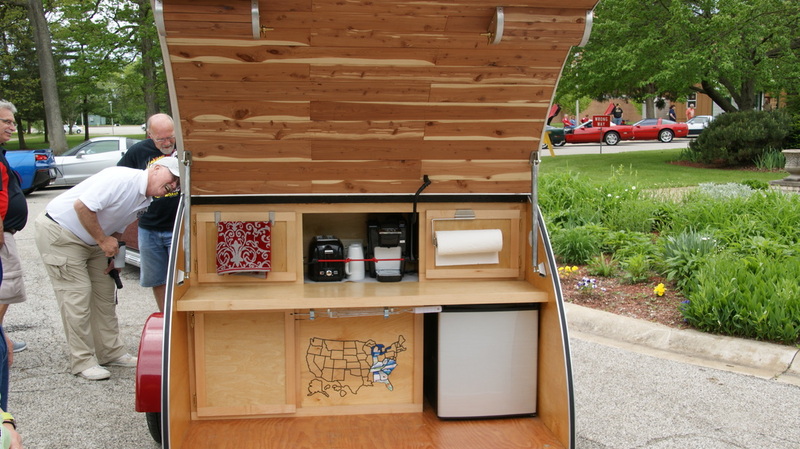 Hoosier also had a Hummer full of contributions for the residents of the home. 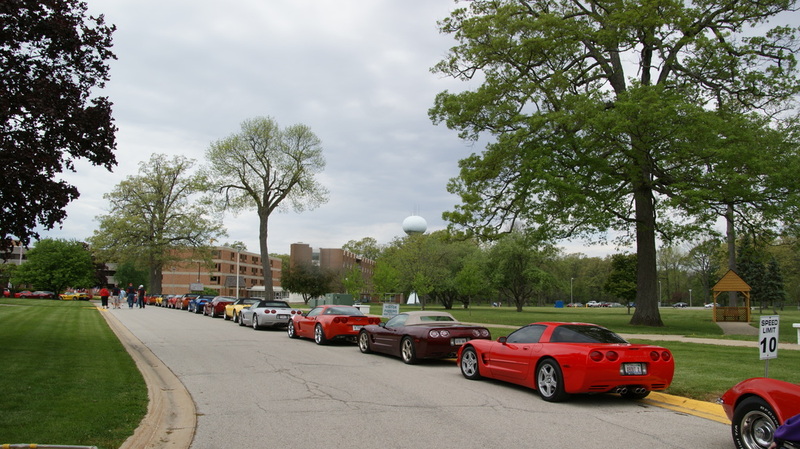 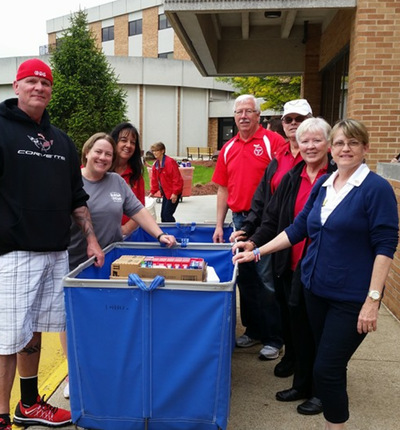 The other clubs had mainly brought smaller amounts of items in their Corvettes, which filled several laundry tubs and the requested cash which will allow the residents to purchase needed items otherwise not provided. 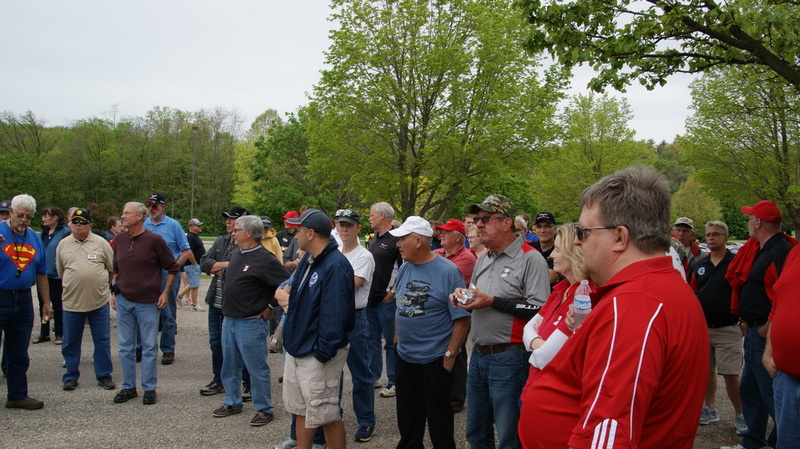 This event has become extremely successful and should be added as an important event to every clubs calendar in the region.